In the home, the natural beauty of water is often overlooked. We turn on a faucet or shower, pour water from a pitcher or take a bath without really thinking about how amazing the stuff really is. 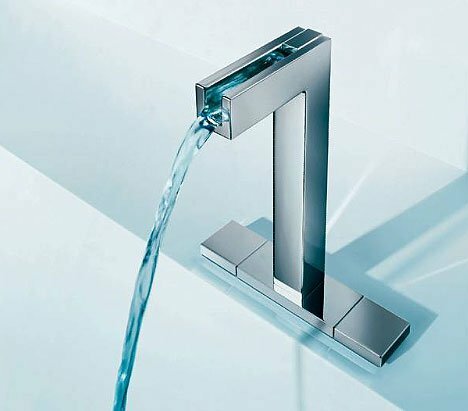 The Hansacanyon Faucet from German fixture makers HANSA puts the beauty of water on display. 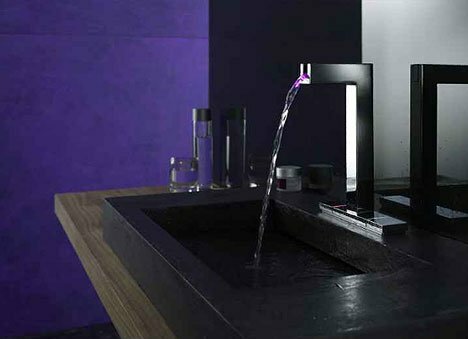 By removing part of the faucet’s top, the Hansacanyon lets you see the water flowing – just like through a canyon in the great outdoors. But even more impressive is the color-changing LEDs that light up the water according to its temperature. Ranging from cool blue to medium violet to warm red, the LEDs allow you to visually gauge just how warm the water is before you stick your hands in. Of course, the actual usefulness of this function is questionable – but beautiful design doesn’t always need a reason.